With a feasibility study already underway for an Innsbruck 2026 Olympic and Paralympic Games bid, to be held jointly with Tyrol, officials are looking forward optimistically and expect to decide whether to file an application by September this year. The study, being conducted on behalf of the Austrian Olympic Committee (ÖOC) by Pro Projekt, will be available for review in May. Innsbruck hosted the Games in 1960 and then again in 1976 in place of the city of Denver that withdrew after already being selected to stage the competitions. The Austrian city also staged the inaugural Youth Winter Olympics in 2012. The study addresses questions about sports facilities, transport, accommodation as well as the sustainability and financing of the project. In order to also evaluate the consent of the population, a report by the ÖOC says, the involvement of the citizens in Tyrol and Innsbruck is required. “One thing is clear to us, if the feasibility study reveals that this new path we are going to take is possible for an Olympiad promotion of Tyrol and Innsbruck, we will then inform the population comprehensively and take a goal-oriented approach on the basis of a broad participation process” Tyrol’s Günther Platter and Innsbruck Mayor Christine Oppitz-Plörer said Wednesday. “The support of the Tyroleans for the organization of the Olympic Games in our country and the city is decisive for the success of this project,” they added. If support is to be measured in the form of of a referendum, a potential bid would have a high hurdle to jump after a string of lost Olympic Winter Games referendums across Europe including recently from Davos in Switzerland, Krakow in Poland, Munich, and many more dating back to bids for the 2010 Games. Last week Budapest became the third European city to drop a 2024 Summer Games bid after there was a threat of a referendum, and the confidence to win it was lacking. Skyrocketing organization costs and the resulting unsustainable legacies of recent past Games are usually to blame for lack of public approval. 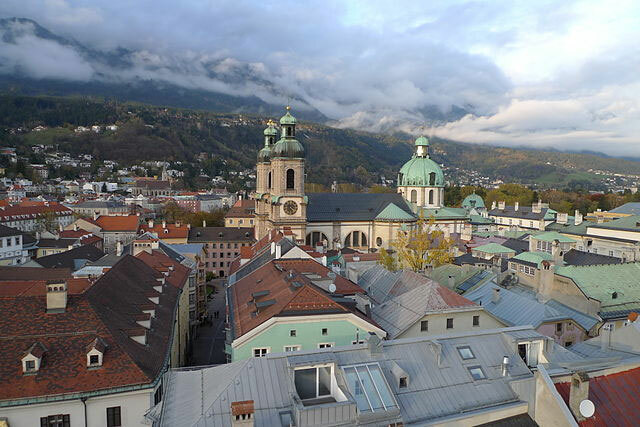 The feasibility study is expected to include proposals for possible forms of participation, the ÖOC report said, an in addition to Host City Innsbruck, hosting the competitions would extend to various locations throughout the country. “We want to pursue an environmentally-friendly path, which also provides for infrastructure measures, which represent an advantage for the Tyrolean population in the medium and long term, I see here a huge opportunity for Tyrol and its future,” Platter said. On Wednesday Karl Stoss was re-elected for a third term as President of the ÖOC boosting continued support for the bid. If Innsbruck decides to bid, it could face international competition from Calgary, Sion, Sapporo, Almaty, Stockholm and others. The International Olympic Committee (IOC) is expected to elect a winner in 2019.